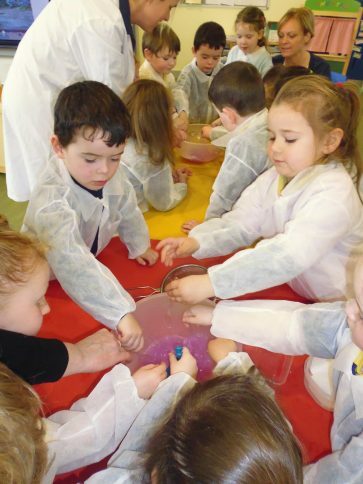 TWO Belfast-based mums have developed a fun, new way to introduce science in the classroom. With business chiefs and education leaders expressing concerns about the lack of science, technology, engineering and maths (STEM) skills among our young people, Science Starz could be the key to the solution. Science Starz is a social enterprise founded by Rose McMurrough and Elita Frid, which aims to increase primary pupils’ knowledge and interest in science. 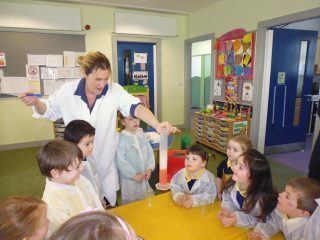 Rose and Elita use experiments, games, songs and puppet shows in their classroom-based workshops to show the children that science can be fun. According to industry chiefs, there are not enough STEM graduates in Northern Ireland. 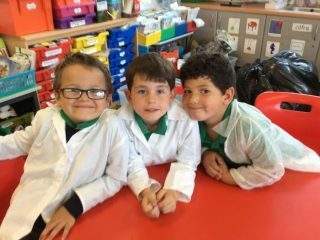 Belfast mother-of-four Rose believes the answer lies in introducing children to science at a young age. She believes that too many children are intimidated by science and technology when they start secondary school. “Science is pushed in secondary but there is no experience in primary,” she says. For Elita it’s all about showing children that they do not need to be intimidated by science and demonstrating to children that science is all around them. 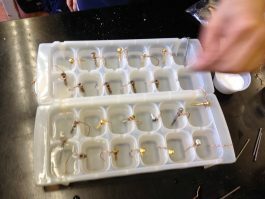 “We want to familiarise children with science so that it doesn’t seem like a foreign subject,” she says adding that the workshops are geared to the children’s level, whether they be in nursery or primary. Rose believes that a more holistic approach to education is required. A former science teacher with an infectious enthusiasm for science and 15 years’ experience in the classroom, Rose believes that science needs to be given a greater priority in early education. It’s a view shared by Northern Ireland’s Education and Training Inspectorate (ETI). In its evaluation of the implementation of The World Around Us (WAU) in primary schools, the ETI flagged up the provision for science and technology education as an area for concern. The survey found that 33 per cent of schools do not know if their staff members have sufficient knowledge and skills to teach science. This contrasts with other strands of WAU where 94 per cent believe they have sufficient knowledge and skills to teach history and 94 per cent geography. Many of the schools surveyed cited a lack of time and training as two of the reasons why targets in science and technology were not being met. The concerns have also been raised by the Northern Ireland Assembly. In a research paper published last year for the education committee, to address the decline in the interest in STEM subjects and the lack of confidence among many primary teachers in relation to teaching science, it was reported that only 35.8 per cent of GCSE entries were in STEM Subjects in the school year 2013/14 – the last year for which data is available. At ‘A’ Level, entries in STEM are only slightly higher at 41 per cent but attract mostly male students. Rose and Elita believe Science Starz can help with this problem. “We want to add value to what the teacher is already doing. We have made some of workshops topic-related so that they tie in to the curriculum and what the children are already being taught,” Rose says. Rose is also keen to stress that there is the “novelty factor of someone coming into your class for the day, for teachers already burdened with a heavy workload,” meaning there is little preparation or tidying up for the teachers and classroom assistants. Rose and Elita are aiming for an official launch in September but have already had a lot of positive feedback from some of the schools across the north that have taken part in Science Starz pilot sessions. 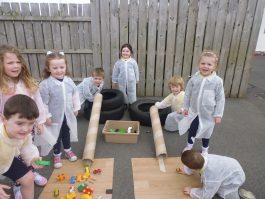 “The well-planned session had the children excited and engaged from start to finish,” a Facebook post from St Michael’sNursery in west Belfast read. Elita, who is originally from Canada, is also keen to point out that another important aspect of Science Starz is that it is a social enterprise. With the help of Belfast-based business support charity Ortus, Elita and Rose have acquired funding, advice and an online presence. As full-time mums they are all too familiar with the time constraints of raising a family and the difficulty this presents when trying to get back into the workplace. Elita, who has been living in Northern Ireland for 10 years, has a background in business and she and Rose are very keen to help other women in similar positions to themselves by inviting others to join them and expanding their enterprise. “Sometimes the options out there for parents returning to work or study are quite limited and a bit patronising,” Rose says. “Ultimately we’re a social enterprise,” Elita says. “And another aim of ours is to help other women like ourselves – mums who have taken time out to raise their families – to get back to work.